This page is about the Japanese gift fighter A6M5 Ko. For other uses, see A6M (Family). The A6M5 Ko Reisen is a rank IV gift Japanese fighter with a battle rating of 4.7 (AB/RB/SB). 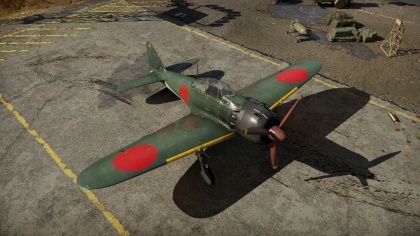 This fighter has been in the game since the start of the Open Beta Test prior to Update 1.27.
? ? 10 900 ??.? ??.? ??.? ??.? ??? 740 300 ??? ~?? ~? In the middle of 1942, the Allies in the Pacific Ocean Theatre took the offensive, while the Japanese were more and more often on the defensive. In 1943, new types of high-speed fighters entered service with the USAAF and the USNAF, and they outperformed the Zeros in many respects. Low survivability, the main disadvantage of the Japanese aircraft, was made clear in the fierce air duels between the planes. The fighter's flight characteristics also required some improvement, and Mitsubishi Heavy Industries designers began to upgrade the A6M again in August 1943. The Zero received a smaller-area wing (with a span of only 11 m) with rounded tips. The wing folding mechanism was removed. To increase the plane's allowable diving speed, its wing surface skin was reinforced. Since more powerful engines were not yet available, the designers had to make the most of a Nakajima Sakae 21 engine. Every pair of cylinders was given an individual exhaust pipe instead of a common heavy exhaust manifold. This added exhaust gas thrust to the propeller thrust, which resulted in a higher aircraft speed. The fuselage skin had to be reinforced with steel sheets in the area of the pipes, since the hot exhaust gases quickly burned through thin duralumin. The new version of the aircraft was designated Model 52 (A6M5 Model 52). The plane became slightly heavier, but its maximum speed at a height of 6,000 m reached 565 km/h. This was the speed limit for the Zero, since all further modifications made to the machine only increased its weight and, consequently, reduced its maximum speed. The next stage in upgrading the Zero was the Model 52 ""Kou"" (A6M5a Model 52a). This improvement significantly reinforced the plane's armament by replacing the wing-mounted Type 99-2 Model 3 drum-fed cannons (with 100 rounds each) with Type 99-2 Model 4 belt-fed cannons (with 125 rounds). This added 25 rounds per cannon and slightly improved the plane's rate of fire. Now the fighter's armament consisted of two synchronous 7.7 mm Type 97 machine guns with 500 rounds each plus two wing-mounted 20 mm Type 99-2 Model 4 cannons with 125 rounds each. 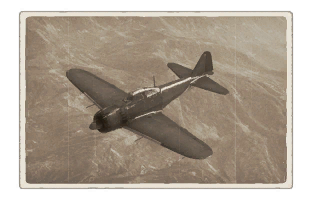 The A6M5 Ko fighter could carry bombs: two 60 kg (132 lb) bombs suspended under the wing and one weighing 250 kg (551 kb) under the fuselage. In addition, the A6M5 Ko's wing structure was reinforced yet again, which resulted in a maximum allowable diving speed of 740 km/h. However, this was still inferior to the diving speed of the American F4U fighter. Mass production of the A6M5 Ko variant began in March 1944. Mitsubishi Heavy Industries manufactured 391 machines. An additional unknown quantity of this variant was built by Nakajima Aircraft. Skin and Camouflages for the A6M5 Ko in Warthunder Live. This page was last edited on 3 April 2019, at 16:36.